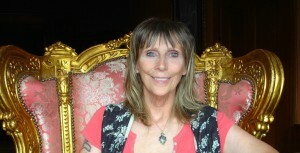 I have worked as a professional psychic for over 25 years helping people in all areas of their lives. Most people expect to see me helping others with relationship questions and love issues but are surprised how effective my gift is when it comes to business. As a psychic, I read and interpret energy. For me it as real as a written resume you may look at before you hire someone. The main difference with a written resume, you can only know what you read on that resume: it is one dimensional, for me, people’s resumes are in the form of “energy” so when I read them I get what they choose to tell me and also what they don’t tell me. I read there whole “existence” as it were. I have been helping people find the right blend for their business’s in many ways for many years. From selecting staff to finding the right name or image for their business and doing it with a high level of accuracy, because when read correctly, energy is your truest guide because it can’t lie, it is what it is. Every state of being has its own energy: money, fear, success, joy, sadness all vibrate at a certain rate and it is consistent. My expertise is reading that energy and matching these energies to each other, so if you tell me the name of your company and then give me the name of a person of interest I will scan their energy against your energy, just as you did when you held up those color patches, and in detail, I can tell you in which areas this person will and won’t blend with your company’s or your personal energy. My expertise enables me to help professional people to be better prepared for appointments and decisions by giving them an insight as to what to expect from the people and the situation. Not only does it do the obvious, save you money and time, but it also provides you with the opportunity to truly connect with these people and find a perfect blend that will bring about a win -win situation for everyone at every level. Impressive tips! I have been hunting for something such as this for some time now. Thanks for the tips! Exceptional post, We are viewing back usually to discover refreshes.